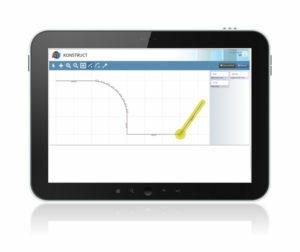 Konstruct Mobile is the “in-the-field” version of the Synergy software that operates the Autobrake and Automax folders. 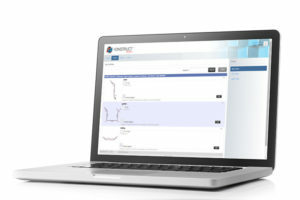 Using Konstruct Mobile on a mobile phone, tablet or laptop you can design, price and order parts remotely from anywhere you have an internet connection and communicate that directly back to your Konstruct office software. From the job site you can instantly tell the office what type of material, color, thickness and number of pieces you require. Once a part is sent to the office the job will be automatically reviewed to confirm that it can be run on the machine. As parts are created they can be stored and accessed again at a later date. The Konstruct Mobile software package can be used by your customers in place of sending pictures or hand sketched drawings so parts are drawn with accurate angles and dimensions. It’s efficiency that you will appreciate, and it’s a selling tool that you as a fabricating contractor, can use over competition in service and sales. 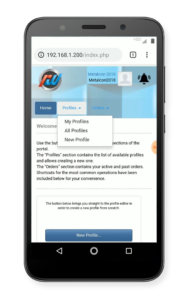 We invite you to try a free trial version of our Konstruct Mobile software. All you need to do is contact us requesting a trial and we’ll provide you with a username and password. Our engineers will assist you in setting up and implementing the software.